Mark the evening of Saturday, May 6 on your calendar for this year’s Banquet! Keynote Speaker: Dr. Rubén Martinez, Professor of Sociology and Director of the Julian Samora Research Institute at MSU. 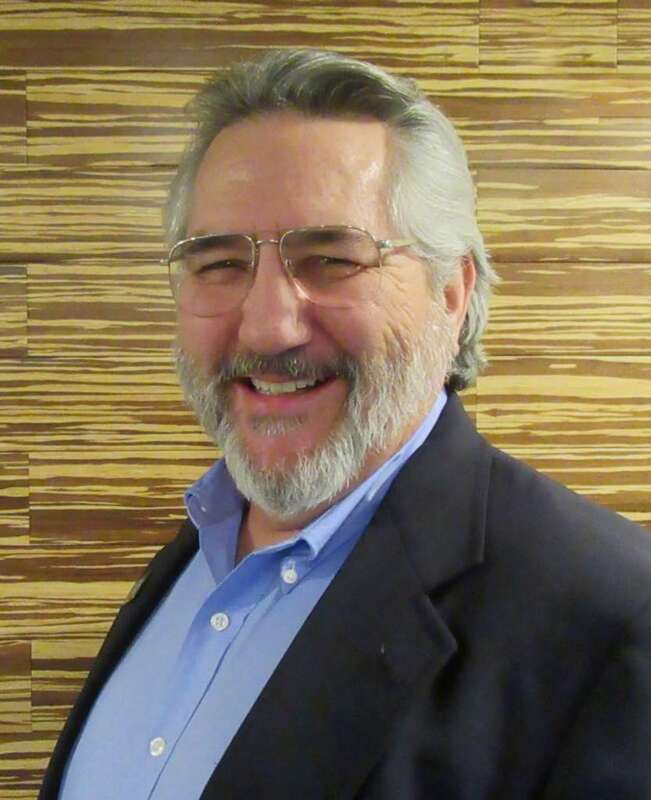 He has taught in higher education since 1979, worked with Latino and minority community organizations across the nation, and founded several Latino non-profits focused on Latino academic success. He’s a nationally known scholar whose research includes institutional and societal change, education and ethnic minorities, youth development, and other equity issues. 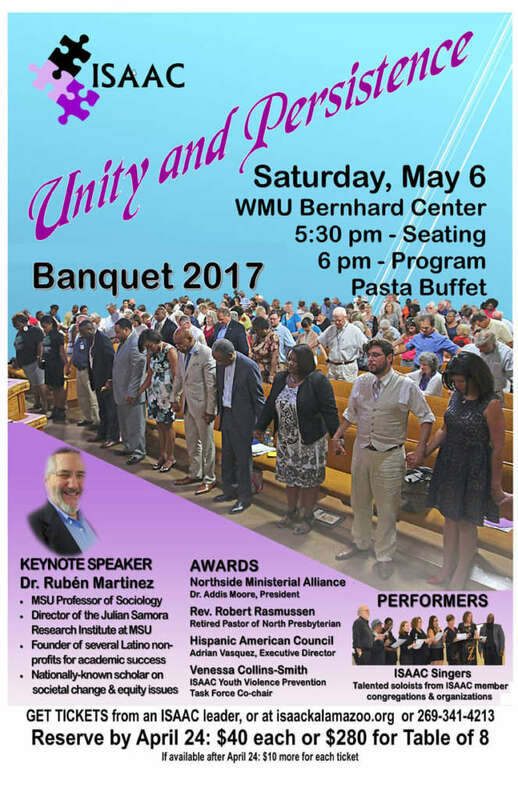 >> Make sure the ISAAC 2017 Banquet is in your congregation or organization’s calendar–Saturday, May 6, 5:30 seating, 6:00 program, at WMU Bernhard Center. $40 each or $280 for a table of 8, until April 24. (If available after April 24, $50 each or $360 for a table of 8. "ISAAC is one of the few social justice organizations that actually upholds and practices principles of social justice. ISAAC is no joke, when they say they are working on social justice issues, they are really working on social justice issues."